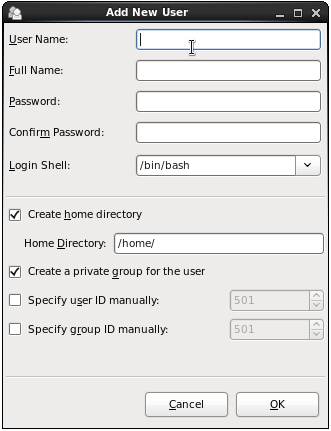 During the installation of CentOS 6, the Setup Agent prompted for information to create a single user account for the system. We should not lose sight of the fact that CentOS 6 is actually an enterprise class, multi-user and multi-tasking operating system. In order to use the full power of CentOS, therefore, it is likely that more than one user will need to be given access to the system. Each user should have his or her own user account login, password, home directory and privileges . Users are further divided into groups for the purposes of easier administration and those groups can have different levels of privileges. For example, you may have a group of users who work in the Accounting department. In such an environment you may wish to create an accounts group and assign all the Accounting department users to that group. In this chapter we will cover the steps to add, remove and manage users and groups on a CentOS 6 system. Once the new user is configured, click on the OK button to add the new user. Once added, the new user should appear in the list of users in the settings dialog and it should be possible to login into the CentOS 6 system using the username and password specified. The properties of a user may be changed using the same User Manager tool used to add a user as outlined above. 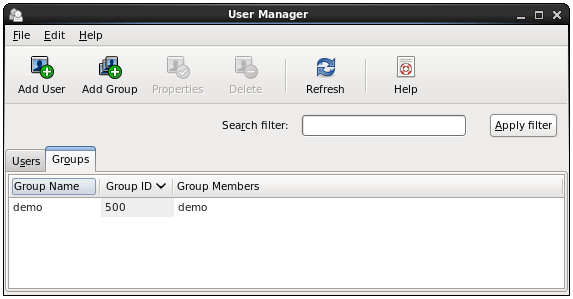 Select the System desktop menu and choose Users and Groups from the Administration sub-menu to launch the User Manager tool. To make changes to a user’s properties select the user from the list and click on Properties. Work through the various screens in the User Properties dialog for the selected user and click on the OK button to apply the changes. These screens allow settings such as the expiration date of the account and the number of days before the password must be changed by the user to be configured. 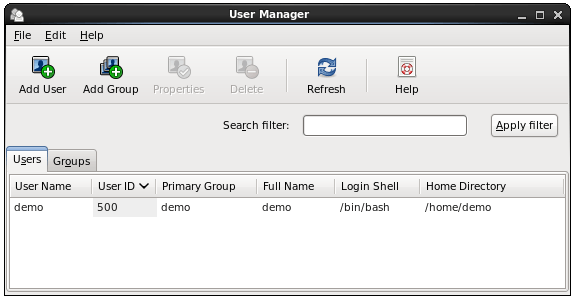 To modify a CentOS group, select the group to modify from the list of groups in the User Manager (as outlined above) and click on Properties. 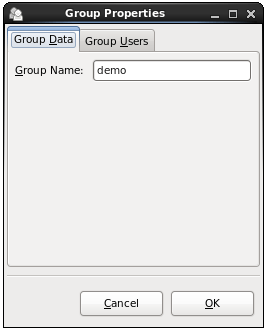 The resulting Group properties dialog (shown below) allows basic settings such as the group name and group members to be changed.